I began by sizing the elastic around my head. I didn’t want it to be too tight, because when it is I get a headache. I left it just loose enough to not hurt. I marked where I needed it to be with a pin. I then sewed a square around the overlap of my elastic so that it would stay put, nice and snug. Now it’s hot glue time! I hot glued the hemmed edge of the lace around one edge of my elastic band. After I did this, the lace sort of stood up and made me look like a baby wearing a bonnet. Enter needle and thread to save the day! I hand sewed down the other edge of the elastic to hold the lace in place. That’ll do it! Voila! 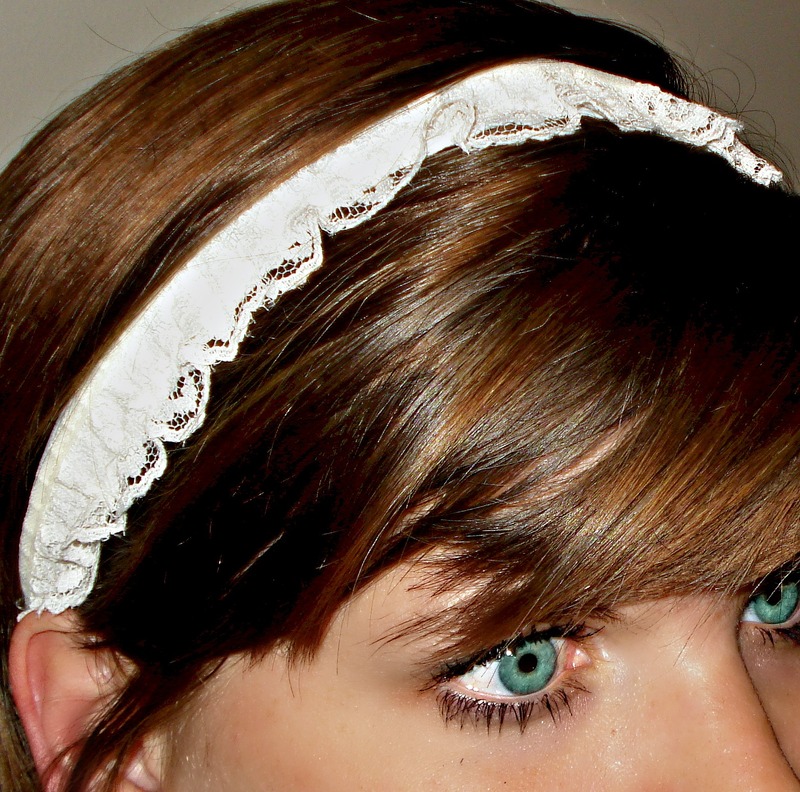 My new headband was made. Let me know if you make one of your own…I’d be thrilled to see it! Happy lace-ing! Wow, Nikki this seems super simple. I love crafting with lace too! I found you through the CHQ blog hop and I"m your newest follower. Love from Whimsically Homemade! Thanks so much for stopping by! This craft was actually created by my partner in crime Michelle. Didn't she do a fantabulous job?! Thanks for the follow I will for sure return the favor!